Lytro, the maker of the camera that allows users to change the focus of a picture after it is taken, announced yesterday two new functions in their system to be available since next December 4th: Perspective Shift and Living Filters. Living Filters will let users change the way a picture looks with filters, which are predefined processes by which aspects of a photo such as its color or texture are automatically set. With filters users can, for example, convert a photo to black and white, and Lytro will offer nine different filters. The other new feature is Perspective Shift, that will allow Lytro photographers to make a slight change in the point of view of a picture after it has been taken. With this function, viewers will also be able to change the point of view by dragging the photo in any direction, being it left, right, up, down or all around. 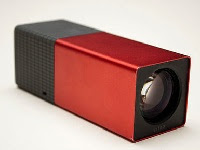 Both functions will be available as an update for Lytro Desktop and will be free to all owners of this kind of cameras.